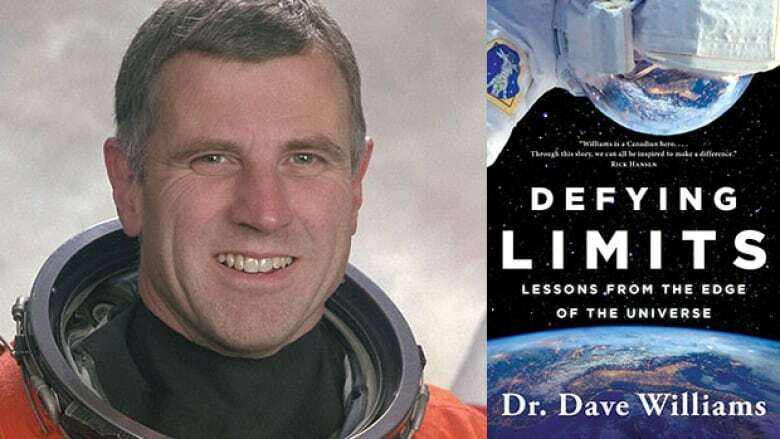 Astronaut Dave Williams' remarkable life as an ER doctor, astronaut, aquanaut and even hospital CEO has life lessons for all of us. His accomplishments have taught him to see a life's legacy as living a truly fulfilled life. Dr. Dave Williams takes living life to the fullest to a whole other universe. 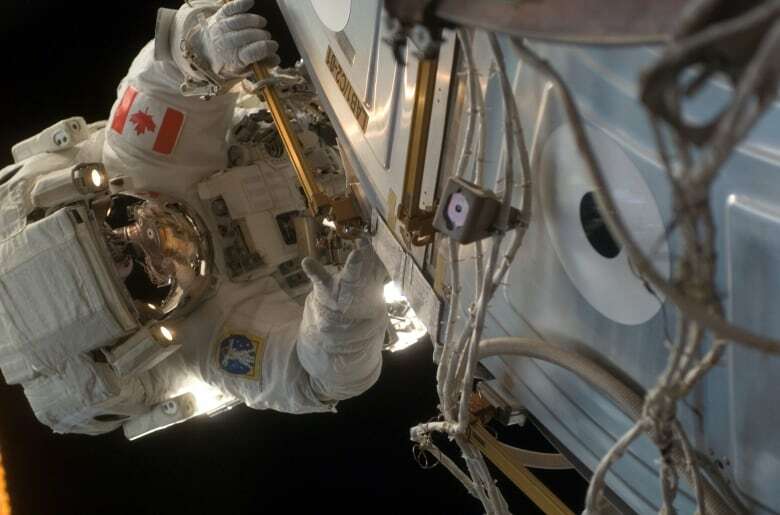 The retired Canadian astronaut has been to space (twice), lived at the bottom of the ocean as an aquanaut, saved lives in the emergency room and performed surgery in zero gravity. He's a hospital CEO, and in his spare time he's also a pilot, skydiver and scuba diver. How can one person be this accomplished? Williams says he's "just a curious kid from Saskatchewan." He chronicles how that curiosity led him to become an astronaut in his memoir, Defying Limits: Lessons from the Edge of the Universe. Williams was just shy of his seventh birthday in 1961, when he gathered with his family to watch the Freedom 7 launch on a grainy black-and-white TV in their Montreal living room. "That was the beginning of a dream: watching Alan Shepard go into space. I thought, that's what I want to do," he told The Current's guest host David Common. At the time, Canada didn't have a human space flight program so it was hard for Williams to believe becoming an astronaut would be possible. But his parents encouraged him to pursue his dream —- and he did. 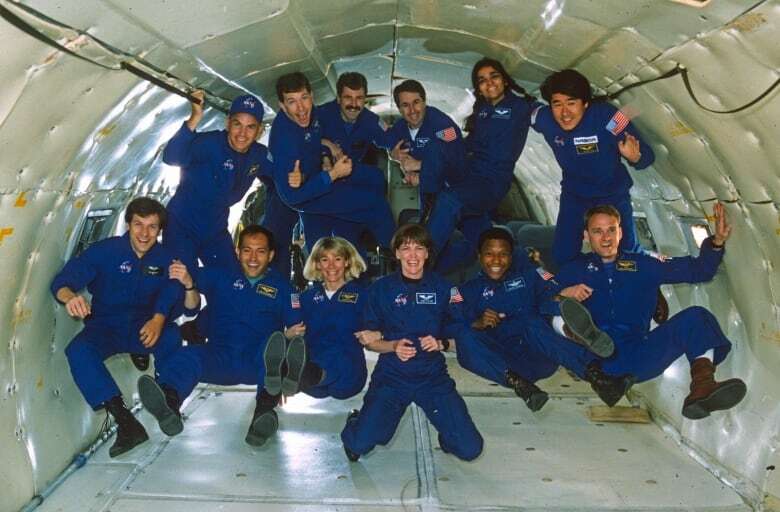 Williams graduated from astronaut training in 1996. He was assigned as a neuroscience research specialist aboard the Space Shuttle Columbia in 1998. The final moments preparing for the dramatic liftoff can be intense, said Williams. "The last thing on your checklist occurs at T-minus two minutes. You close the visor, turn the oxygen on and you have two minutes to think about things," he said. After that, he sits tight and hopes for the best. "Basically in 30 seconds, I'm going to have seven and a half million pounds of thrust — a controlled explosion ignite beneath me. And hopefully we're going to make it to space but whatever happens we're going someplace really, really fast," Williams explained. "And then eight and a half minutes later I'm traveling 25 times the speed of sound — that's eight kilometres a second." In Williams' second mission in 2007, he boarded the Space Shuttle Endeavour to help build the International Space Station and performed three spacewalks. He holds a Canadian record for longest time spent space-walking, with a combined duration of 17 hours and 47 minutes. He recalled a single moment, during his second spacewalk, that encapsulated his time in outer space. 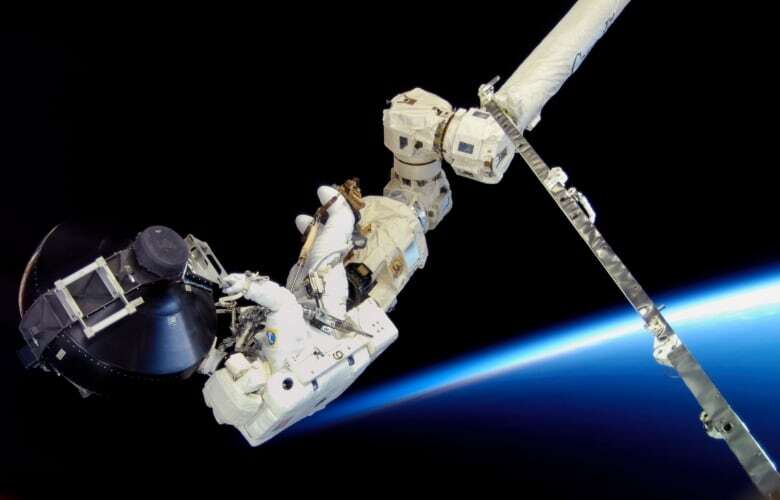 "I was riding on the end of the Canadarm with the Canadian logo on the upper arm, the lower arm, and of course I'm on the station arm … so there are Canadian robotic arms everywhere," he said. "There's no question that we're one of the major space faring nations but I was looking at the Canadian flag on my shoulder. [It was] one of the proudest moments of my life as a Canadian." While in the payload bay of the space shuttle, Williams looked at the earth, where there are are no boundaries between countries — just life on one planet. "We're all in this together, and you realize that this is the home of humanity: this beautiful blue oasis in space," he said. He began to see his life in cosmic time, as a "speck of sand on this infinite beach of life." It seemed a gloomy observation at first, until he gleaned a lesson from the out-of-this-world point of view. "I realized that the opportunity for all of us is not to leave a legacy, it's to live a legacy — to live on a day-to-day basis, and get the most that we can out of life, and in so doing be able to lead a truly, fulfilled life." Written by Lisa Ayuso. Produced by John Chipman.